Apparently I was meant to write a blog on waiting. Because that’s what we’re doing. The rain I mentioned last week created a cascading delay for concrete orders. And being a small job, we are low on the priority list. Our Tuesday pour turned into a maybe Wednesday, then Friday. None of which happened. However, we have a definite pour date this coming Monday morning, early. God willing and the creeks don’t rise. Which, as I’ve said before, is always a possibility around here. So, I pulled up some scriptures to help me. For I am waiting for you, O Lord. In looking through the Psalms, I noticed many of the verses were about waiting for the Lord to rescue the psalmist from enemies, waiting for victory, or relief. Even waiting with swollen eyes and weeping. They give me a heart (attitude) check. My waiting doesn’t quite compare. I’m thankful our God is much more patient than I am and that He is willing to teach me in the waiting, if I am willing to listen. Since we want our home to be a place used to serve the Lord, we wanted to set verses in the foundation, as a symbolic gesture as well as an opportunity to pray God’s word over the house during this next step of construction. We planned to do so the night before the pour, but since it was up in the air, we decided to do it Wednesday, when we had a free afternoon. Just two of the many foundational scriptures we set. One on the porch, where the front door will be and the other where my study will be. 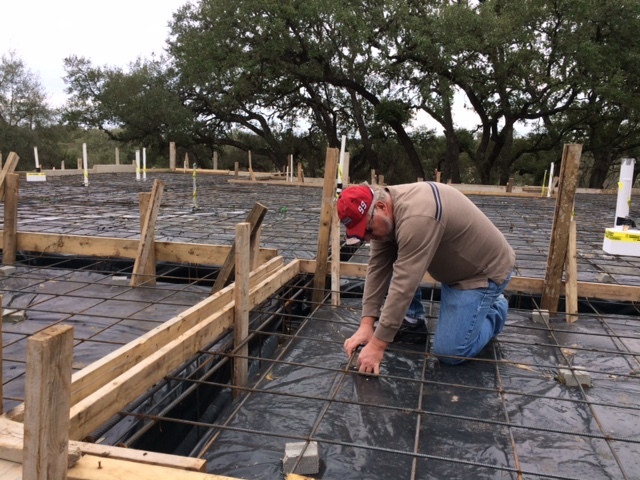 Hoping next week we actually pour and cement God’s truth in place. 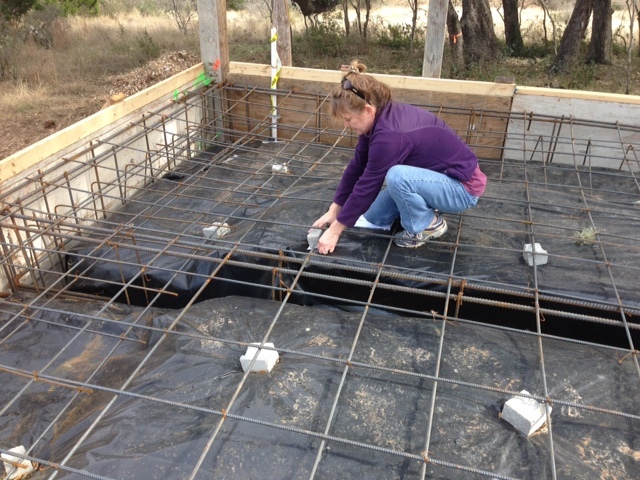 This entry was posted in Hill Country Living and tagged Country Living, River Chase, Texas Hill Country, UBuild It, waiting. Bookmark the permalink.